In over his 50-plus years as a bandleader and charismatic teacher, Natividad “Nati” Cano took the humble musical tradition he inherited from his family to the most prestigious concert stages in the United States and Mexico. 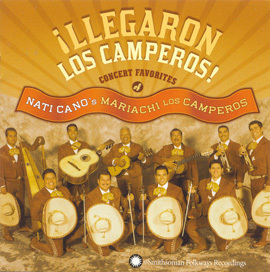 Both a traditionalist and an innovator, his work with the renowned Mariachi Los Camperos de Nati Cano changed lives, changed minds, and recalibrated american public opinion of this signature musical expression rooted firmly in the history and pueblo of Mexico. He passed away October 3, 2014, at the age of 81. "I did it to preserve, to rescue so many beautiful songs. I never thought that we would be nominated for a Grammy. I did it as a tribute to Mexico, to its people, who are the ones who keep these beautiful songs alive. We only did what we were supposed to do and we are very proud." (Nati Cano in an interview following the 2009 GRAMMY awards). 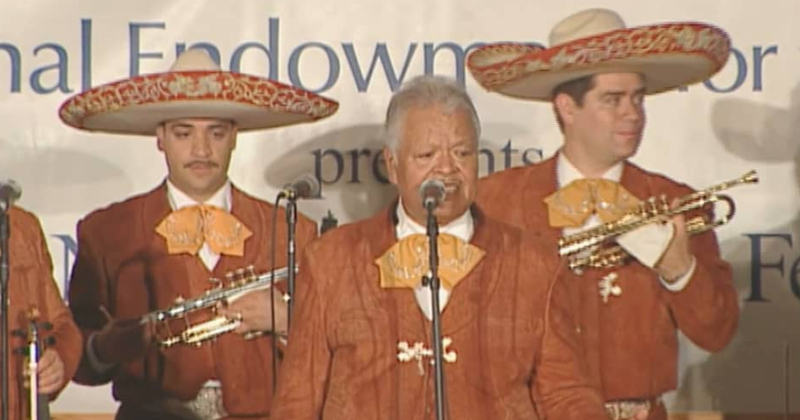 Video: Nati Cano's Mariachi los Camperos perform at the Viva el Mariachi Festival in Fresno, California, 2007. The footprint of his work is regional, national, international, and lasting. 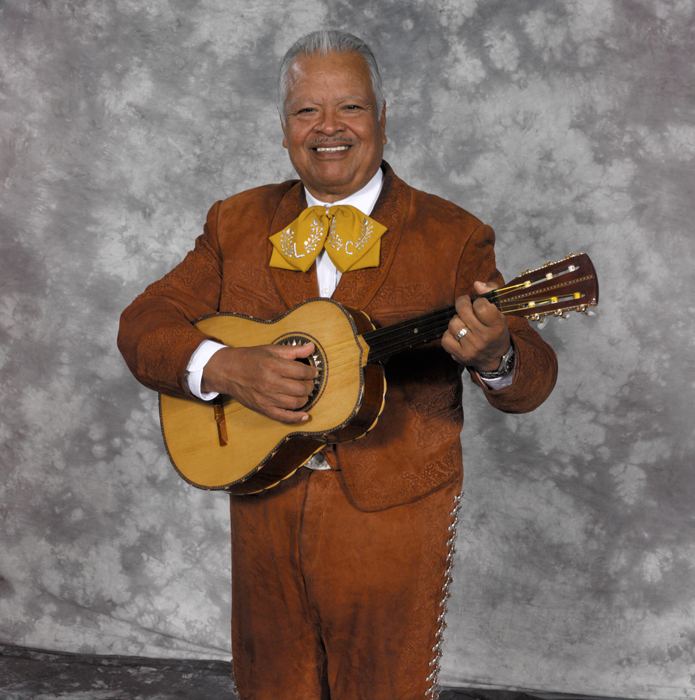 His insistence on musical excellence and impeccable stage character raised the bar on mariachi musical performance. He took his group to performances in Lincoln Center’s Avery Fisher Hall, the Kennedy Center, the Smithsonian Folklife Festival, Town Hall in Seattle, San Antonio’s Majestic Theatre, Berkeley’s Zellerbach Auditorium, and many more prestigious venues, opening doors for Mexican musicians of other styles. His dinner theater restaurant, La Fonda de Los Camperos, on Wilshire Boulevard in Los Angeles exposed the best of mariachi music to hundreds of thousands of Americans of many backgrounds and was a model for countless other similar venues for Mexican musicians. His annual Mexican culture tour, “Fiesta Navidad,” continues more than a decade of performances throughout the United States. 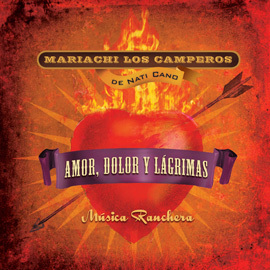 Cano’s collaboration with singer Linda Ronstadt (who publicly stated that Los Camperos was her favorite mariachi ensemble) on her milestone Canciones de Mi Padre recording and tour yielded a rebirth of public enthusiasm for mariachi music in the United States and beyond. Cano and Ronstadt continued their collaboration over the ensuing decades. 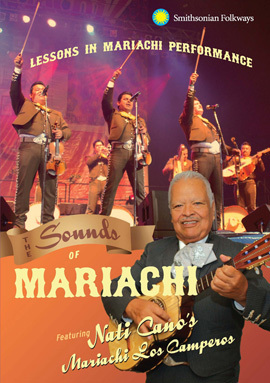 The PBS production The Spirit of Mexico, featuring Cano’s group and Mariachi Vargas, took the tradition to tens of millions of Americans. Video: Mariachi los Camperos de Nati Cano demonstrate how to play bolero in the mariachi style. In the 1980s and beyond, Cano turned his attention to mentoring young people. For nearly three decades, he led music workshops for youth throughout the American Southwest. His charisma and focus on character as well as artistic excellence touched literally hundreds of thousands of young people, transforming lives. Wherever he went, young children rushed to hug him, young people idolized him, and parents expressed their heartfelt gratitude for what he offered their children. In 1990, the National Endowment for the Arts awarded Cano the American government’s highest award in the folk and traditional arts, the National Heritage Fellowship award. 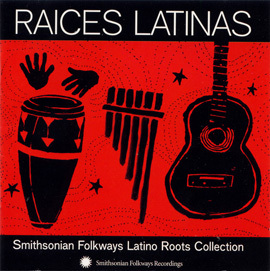 Smithsonian Folkways Recordings, the nonprofit record label of the Smithsonian Institution, published three recordings of his group resulting in one GRAMMY award, one GRAMMY nomination, and several other awards. 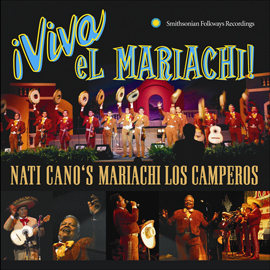 Video: Nati Cano's Mariachi los Camperos performing Mexico lindo at the Smithsonian Folklife Fesitval 2004. He was born in 1933 in the small village of Ahuisculco, Jalisco, in the west Mexican region where the mariachi originated in the 18th and 19th centuries. As a young boy, Cano enrolled at the Academia de Música in Guadalajara to study the violin, but he would return home to play with his father in local cantinas and cafes. 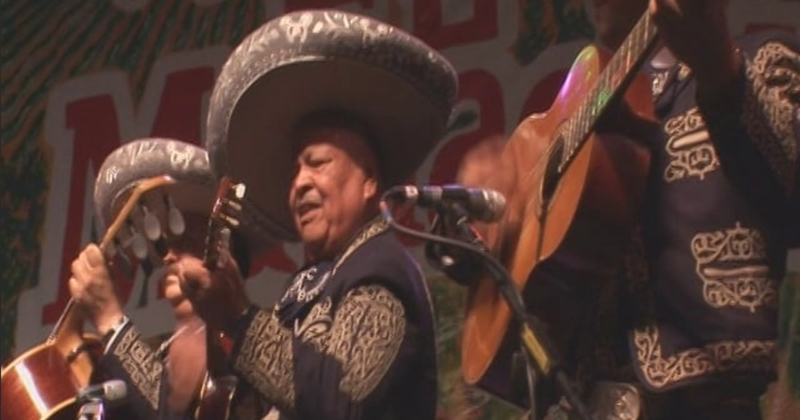 In 1950, Cano traveled to the border town of Mexicali to join the Mariachi Chapala, and several years later he emigrated to Los Angeles, California. There he joined Mariachi Águila, the house ensemble at the famous Million Dollar Theatre, a major stopping point on the Mexican professional circuit. Upon the death of the group’s director, Cano became the new leader and renamed the band Los Camperos. 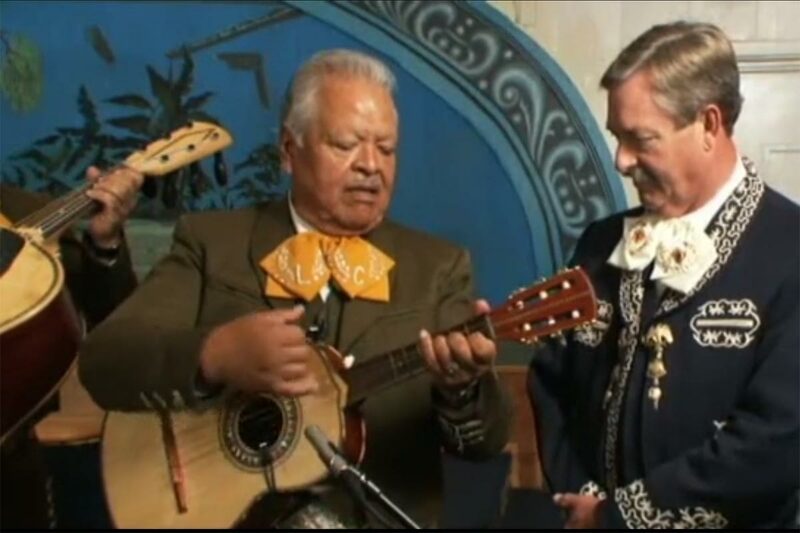 From these humble beginnings, and for more than 50 years, Nati Cano took his legacy of Mexican culture to countless Americans across the United States, earning United States citizenship while opening doors of opportunity for Mexican musicians and other culture bearers, and permanently transforming social and cultural attitudes toward the potential of Mexican culture. Daniel Sheehy is director and curator of Smithsonian Folkways Recordings. Interactive Features: Meet the Mariachi!